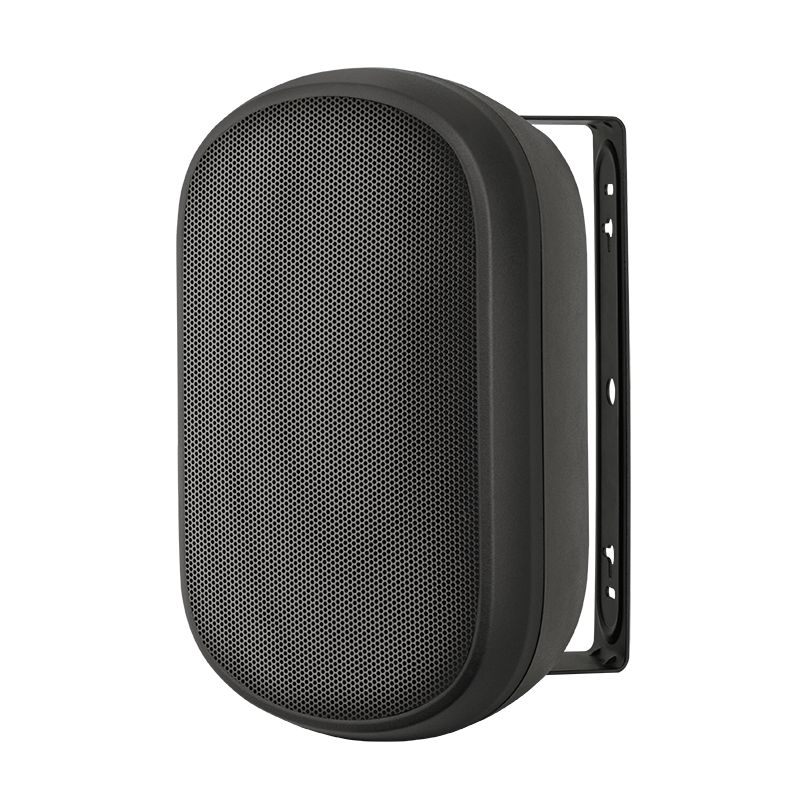 Reliable IP-66 rated, weather resistant plastic cabinet wall speaker with outstanding sound clarity. Suitable for both indoor and outdoor use. Suitable for use on 100V line, or on direct 8 ohm impedance. Comprises of a Polypropylene Cone Woofer, a Titanium Silk Dome Tweeter and a Crossover Network. Power taps can be selected through a slotted rotary switch knob at the rear, accessible after removing the terminal cover. ‘U’ type metal bracket for firm mounting and optimum positioning of the wall speaker.